An invalid contract isn't worth the paper it's written on. 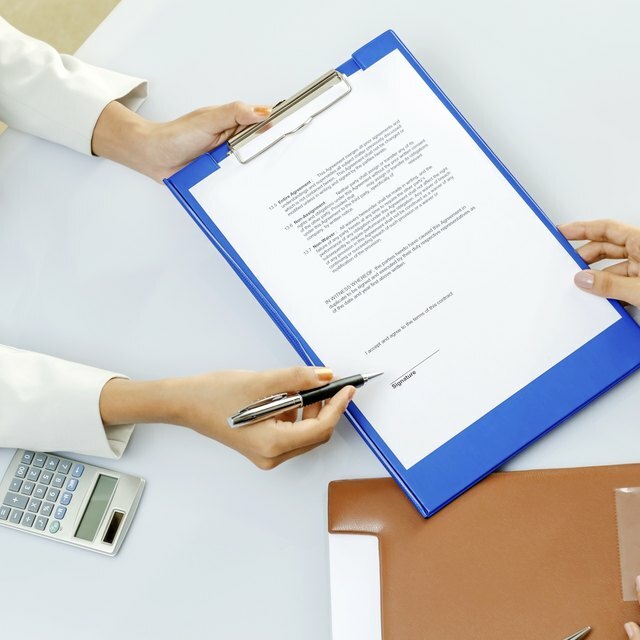 To be legally binding, the Small Business Administration says, both parties to the contract must agree on the terms and must exchange something of value. If a contract isn't binding, you can break it. However, you may have to convince a judge your interpretation of the situation is correct, if the other party sues you for breach. You can break a contract if the other party breaks it first. For example, if the other party agrees to sell you something, then sells it elsewhere, you have no obligation to honor your side of the deal. If the other party gives you advance notice that he's not going to honor the agreement, that also can be valid grounds for calling the whole deal off. If you sign a contract because you didn't really understand it, the American Bar Association says that may be grounds for voiding it. For instance, if you think you're making a one-time purchase when the contracts commits you to an open-ended, monthly obligation, there's no real agreement on the terms, and therefore the contract may not be valid. If the other party disagrees with your claim, however, you may have to convince a judge that you really didn't understand what you were agreeing to. The law assumes some individuals -- such as minors or the mentally handicapped -- don't have the mental capacity to understand the contract. Someone too mentally limited to understand the meaning and effect of the contract can have it voided. Minors can void most contracts, but if the contract is still in force once they become adults, they lose that option. Some contracts allow you to opt out without any consequences if you do it within three days of signing. In Georgia, for instance, you can rescind a contract for the sale of more than $25 in goods you purchased somewhere other than in the seller's place of business. However, the Florida Bar says, this is the exception, not the rule. If you want to rescind a contract, the bar recommends you seek legal advice. If you're exercising the right of recission, follow whatever procedure the contract requires. For other contracts, the Stimmel, Stimmel, & Smith law firm says, you must notify the other party. You also must give back anything of value you received, or offer to do so if the other party does likewise. Your state may have specific laws for specific types of contracts, such as car loans or apartment rentals.